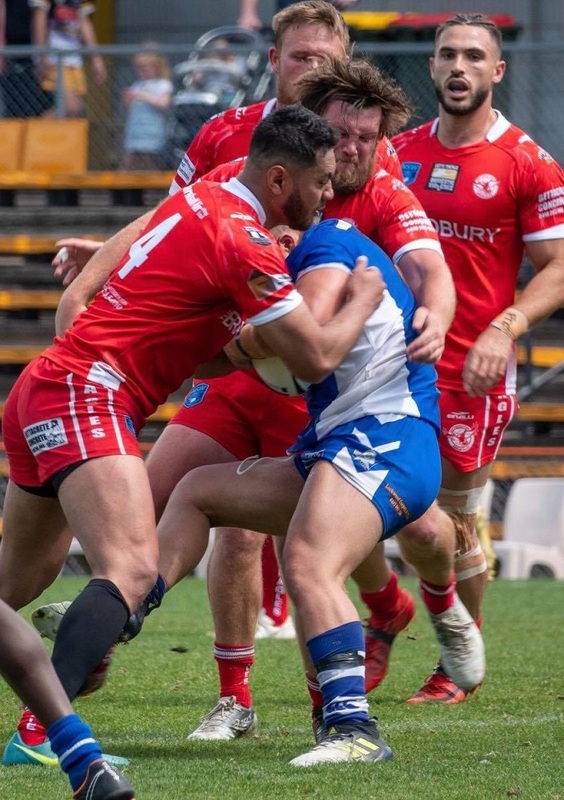 East Campbelltown Eagles have started the defence of their NSWRL Sydney Shield premiership with a solid 30-22 win against last year’s finalists Moorebank Rams at Hammondville Oval on Saturday. The Eagles opened the scoring in the 13th minute when fullback Shannon Gallant touched down from a kick by Sean Connor, who converted the try to give the premiers a 6-0 lead. The young Moorebank side responded with a converted try to level the scores, and despite the heavy conditions produced by the big wet on the weekend, the two teams continued to trade tries. The Eagles were the next to score, courtesy of Theo Leato. Connor nailed the conversion from out wide for a 12-6 lead, but just before the break Moorebank hit back to go into the sheds at half time down just 12-10. The home side were first to score in the second stanza to hit the lead for the first time at 16-12. But that advantage didn’t last very long, with the premiers responding with two tries of their own to push out to a 24-16 lead. Grant Lahey and Aaron Teariki were the tryscorers, with Connor converting both tries. However Moorebank weren’t done yet and again rallied to score to keep the game alive almost to the very end. Eight minutes before the final hooter Grant Lahey scored his second try for the day to have the Eagles 30-22, which was the final scoreline. Best for the Eagles were Grant Lahey, Mason Talolua and Shannon Gallant, while super boot Sean Connor received the man of the match and Aaron Teariki was named players’ player. This Sunday, March 24, East Campbelltown Eagles will take on Asquith Magpies at Worrell Park, Ruse at 2.30pm with games starting from 11.45am.